Hello again to all of you manly followers of all things essential oils and chemical free living. Today I am going to man it up real nice by outlining some very manly essential oils, in fact the manliest on the planet! And then, just to balance it out I am going to give you a run down of what I have found to be the most unmanly oils I have come across. How did I choose the oils? Simple… It was all about the smell. I went through and smelled them all – I mean, I smelled a LOT of oils. It was only when I smelled one called Joy and ranted in great detail how I thought it was the unmanliest oil in the world that the conversation turned to ranking the most manly and non-manly scents I could find. Just before we start, many of the benefits outlined in the following lists centre on mood, hormone balance and body regeneration (skin, muscles etc.). I have often stayed away from the mood and hormone type benefits in my posts as it is very hard to prove them but have decided to include them here based on my research. As usual however, I never have, and never will promote the use of essential oils to provide cures for mental or other illness that should be dealt with by a medical professional. That said, I own all of these oils now so I will try and keep this post updated with my findings. What is it? 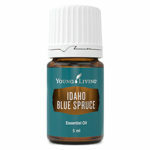 An essential oil made from the twigs, needles and leaves of the Idaho blue Spruce tree (Picea pungens). It contains high percentages of alpha-pinene and limonene. What does it smell like? In the bottle it has a definite lemon aroma that comes from the limonene. On the skin (I applied directly to the wrists) it softens and smells, in my opinion, like fresh air. No, you have not skipped to the unmanly section by mistake. The fresh air smell is definitely woodsy and not flowery. Male mood enhancer – Diffuse to take full advantage of the woodsy fresh air aroma – When used in this manner it is said to enhance relaxation, peacefulness and security. When applied to the top of the feet and at the hairline it is also said to work as a relaxant in times of trauma. Muscle relaxant/relief – this oil is said to be very good for the muscles and is commonly used in massage. If you are also feeling confident enough after a long hard day you could also do worse than adding a few drops to a nice warm bath – maybe add some pink rock salt as well. Not too many drops of the oil though – limonene can make the man-areas a little uncomfortable in cases of over exposure. Tangible benefits – I have used it on my muscle cramps (I get strong cramps in my calves if I stand for too long or drink too much – usually in tandem) and I definitely noticed some relief when I used this oil (Copaiba also works well for this). What is it? – Sacred Mountain is an essential oil blend of Ylang Ylang, Northern Lights Black Spruce, Balsam Canada and Cedarwood. What does it smell like? Don’t let the name fool you, this one is very manly. Northern Lights Black Spruce is my absolute favourite (see Oil #5 – I saved the best till last) and Cedarwood has that real deep musky man smell that almost got it onto this list on its own so on those two alone it is worthy. It reminds me of a forest that has had a fire in it some time ago – you can’t quite pinpoint when it was, but you know it was there! Straight off the bat, as this blend contains Ylang Ylang, which is one of the most heavily blended oils around, it contains many benefits including to alleviate stress, reduce inflammation, improve mood, and enhance libido. Now, I can’t attest to these benefits but I can say that after having this in the diffuser whilst writing this, I did enjoy the aroma which I did sort of find to be quite relaxing. Smell: 7 – The cedarwood gives it a good heavy man-smell. Tangible benefits: None that are outwardly reportable – I did find the aroma relaxing when used in the diffuser. What is it? 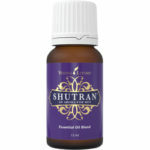 Shutran is another essential oil blend containing many manly oils including Idaho Blue Spruce, Ocotea, Ylang Ylang, Hinoki, Coriander, Davana, Lavender, Cedarwood, Lemon and Northern Lights Black Spruce. What does it smell like? This is a strange one. In the bottle, I will admit that I didn’t find the smell great – It actually seems to smell a lot like the lemon and cedarwood oils have been diluted. And my favourite Northern Lights Black Spruce is conspicuous in its absence. However (and I can actually feel my testosterone levels dropping whilst writing this), once it goes onto the skin it goes to a whole new level. All of the aromas click in and like a good bottle of wine, you can actually start to smell all of the different oils at different times. I really enjoyed the aromas when using it to shave. Shaving cream – add to Coconut Oil (the hard type) for a very manly shaving cream. 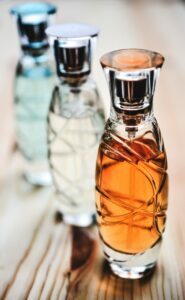 Aftershave – add to fractionated coconut oil, witch hazel or vodka to create a very effective aftershave lotion – note: you can add this directly to the skin on the wrists and behind the ears however the aromas will not last as long. Hormone leveling – It does have a lot of fir type oils in there which are good for testosterone and other hormone leveling in males. Add to the diffuser to level it up real nice! Libido – Increases in testosterone lead to increases elsewhere. Shutran is mentioned many times within my research as being very helpful for those special mummy and daddy (or daddy and daddy) times when the little ones have gone to bed – And if I have to I will give this a real good test – watch this space. Tangible benefits: 5 – I have used it as an aftershave with witch hazel and in shaving cream – can’t complain with the outcomes! What is it? Egyptian Gold is an essential oil blend based on ancient biblical oils including Frankincense, Balsam Canada, Lavender, Myrrh, Hyssop, Northern Lights Black Spruce, Cedarwood, Vetiver, Rose and Cinnamon Bark. What does it smell like? This one is a little hard to describe – there are so many oils in there that whilst it can feel a little jumbled in its aroma – it definitely smells manly. My wife is not a fan and it probably doesn’t take your breath away so to speak when you first open the bottle. But as it is added to the skin, the manly spruce and cedarwood aromas kick in with the softer lavender and rose and it really does come into its own. Note: Before we get into its uses, I must outline that the Young Living site does not recommend that this oil be applied topically I.e. to the skin due to the number of ‘hot’ oils in there such as cinnamon bark and myrrh. I have found many sites in my research that outline it as a very effective cologne for men (which I will talk about below). My advice, if you are going to use this on your skin, NEVER apply directly without a decent amount of carrier oil. Oh, and I would not recommend bathing in it! Tangible benefits: 5 – I don’t mind it as an aftershave but have not used it in a spiritual sense as yet – I will have to bring it down to our yoga studio and report back. What is it? Northern Lights Black Spruce essential oil comes from the leaves of the Northern Lights Black Spruce trees (Picea mariana) in British Columbia, Canada. This oil includes the naturally occurring constituents alpha-pinene, camphene, and beta-pinene. It smells so good that it is also mixed with other oils to make a number of blends including Valor, Peace & Calming, Light the Fire, Shutran, Sacred Mountain and Egyptian Gold. What does it smell like? I have saved the best for last here! This is my favourite oil of all and in my opinion, king of the manly list! It has a sweet, piney smell that just seems to run right through you – wow, I have never described an oil like that before – better go back and read my skeptical mantra! Skin care: Add to you favourite carrier oil to assist with improvement of dry skin or just for a healthier look. Massage: Add to the bottoms of feet, along the spine or back of neck during a massage or simply as a mood calmer. Muscle rejuvenator : Rub your shaving cream mix into tired muscle after a hard day of being a man. Tangible benefits: 8 I use it as shaving cream and have definitely found it to reduce my instances of shaving rash (there are others that do this too but in case I haven’t mentioned this, it is my favourite aroma). I also use it on my ankles and feet after sport or a lot of standing (I use panaway and peppermint before and this after). What is it? Joy is an essential oil blend of Bergamot, Ylang Ylang, Geranium, Lemon, Coriander, Tangerine, Jasmine, Roman Chamomile, Palmarosa and Rose. What does it smell like? I have said this before and I stand by it – It smells like the Country Womens Association threw up all over the house! Why is it on this page? It has numerous uses in the female world such as for perfumes, relaxing children and skin care. I have included it here however as it is extremely good for ultra sensitive skin so if shaving rash is a major problem for you, try it with coconut oil for a nice soothing shave. It is also commonly referred to on the lady pages as a strong aphrodisiac so it couldn’t hurt to throw a bit in the ole diffuser on date night especially as Rose and Ylang Ylang are also heavily linked to assisting the little oiler come out and play. Smell: 1 0 see CWA reference above. Tangible benefits: 6 – on the shaving front alone it deserves a mention. What is it? Lady Sclareol is an essential oil blend of Geranium, Coriander, Vetiver, Orange, Clary Sage, Bergamot, Ylang Ylang, Royal Hawaiian Sandalwood, Sage, Jasmine, Idaho Blue Spruce, Spearmint and Hinoki. What does it smell like? This one is not too bad and almost manly (I am wondering now if I included it here for purely misogynistic reasons such as it has ‘lady’ in its name). It does have a floral scent to it however these are diluted a little by the sandalwood and spruce. Man-moisturiser – Add 5 drops to your favourite chemical and odour free moisturiser (or coconut oil) to keep your face fresh and moist. Libido – this one is a good libido enhancer in both males and females. As with Joy, add it to the diffuser to give you both a little love jolt! Smell: 4 – not bad for a non-manly smell. Tangible benefits: 5 – it really is good for the skin and face. What does it smell like? Like flowers – that have been cut and left in the sun for a day – not long enough to rot, but just long enough to get a stronger aroma. My wife LOVES this one as a perfume! Why is it on this page? This one made the cut mainly due to its apparent enhancements in the bedroom. Like many of the other non manly ones here, it is used mainly as an uplifting, stimulating, energising and calming mood enhancer in the female world as well as in aromatherapy to break down emotional blocks (whatever that means). For the man of the house, sprinkle some on the bed sheets to assist in setting the mood. In fact, the main reason I have included it in this list is that any research into the use of essential oils for the enhancement of that special one on one time lists this oil at the top – I bet you like the smell then hey!! Smell – 3 – a bit too florally for me. Tangible benefits: 4 – I have given it this score in anticipation – might keep you posted (or might not – depends on the whether I get approval or not). What is it? Highest Potential is an essential oil blend consisting of Blue Cypress, Ylang Ylang, Jasmine, Cedarwood, Geranium, Lavender, Northern Lights Black Spruce, Frankincense, Royal Hawaiian Sandalwood, White Fir, Vetiver, Cinnamon Bark, Davana, Lime, Rose, Matricaria, Blue Tansy, Grapefruit, Tangerine, Spearmint, Lemon and Ocotea. Wow – it would have been easier to list the oils not in the bottle – how do they fit it all in? Note: The Young Living site does not recommend that this oil blend be applied topically I.e. to the skin due. Just so you know. What does it smell like? It just smells like girl! Which is really strange considering all of the manly oils that are in there – in fact many that are also included in a couple of the manly blends. Maybe it is the fact that there are so many in there but I really got a feminine aroma from it – If I had to put my finger on it I would say it is the citrus inclusions. Tangible benefits: 1 – I will keep you posted on the stress aspects of it in the diffuser. What is it? Purification is another essential oil blend consisting of Citronella, Rosemary, Lemongrass, Melaleuca Alternifolia (Eucalyptus), Lavandin and Myrtle. What does it smell like? You know what, this one could probably argue for a seat in the manly oils list. It is almost there but just goes to the dark side at the last minute. I am thinking it is the floral scents of the lavandin and myrtle that push it that way. But then the lemongrass sneaks in… It is a tightrope. Why is it on this page? Simply because it is the best odour eating oil I have found. It may not smell the manliest but let me tell you it will over power almost any odour you can throw at it. Put this in the diffuser and no longer will you be banned from cleaning fish, cooking chilli, degreasing car engine pieces or not showering directly after sport ever again. Not to mention after you have snuck that extra hamburger in the car!! Trust me, it is good. Tangible benefits 7 – the highest rating in this section for sure. We have used it to remove damp smells from the garage (insert wet camping gear) and been very pleasantly surprised. Phew… that was a long one. I really don’t have anything further to add here except of course if I find one manlier or, god forbid, one even unmanlier I will be sure to let you know. Alternatively post a comment below if you have one that you think should make the list. Note:If you make a purchase from this page, there is a very good chance that I make a commission from it – these commissions do not increase the your sales price. Idaho Blue Spruce will be my best option if I want to pick, not alone do I love lemon smell around me, I also love the fact that this oil acts as a good one for increasing testosterone levels in men. Testosterone is one of the essential hormones that helps in bodily functions of every man. I have not used any of these oils before and I hope to get one this year. I want to smell new! Hi Salim, yes, that is of my favourites as well. Let me know how you go with it. I love this list. I actually haven’t smelled a lot of these (there are just SO many oils), but I believe your list of the manliest ones. Actually, you #1 is also one of my absolute favorites. It is manly because it smells like the woods. But I am a female and I love the way it smells, too! It’s very relaxing and calming. I cracked up at Purification being on your list of non-manly oils. I don’t think that one should be on any list except “most hospital-ist smell.” haha. It IS great for fighting odors though. I love it! Now, you’ve inspired me to go to my oils and get out Envision. This is another favorite of mine and has Northern Lights Black Spruce in it. Haha, yes, I have to admit that my wife really likes a lot of the manly ones I chose as well – and trust me, there was great debate on which was ‘manly’ and which was not. And that description re hospitalist smell is exactly the description I was looking for – If it is ok with you I think I will add that to the post.. Thanks for your comments and let me know how you fare with the Envision. Haha, of course you can use my description for Purification! It doesn’t exactly sell the smell, but go for it! lol I love Purification though. It has so many uses. My daughter has an eye infection that she has to deal with periodically.. We have a formula that we use. and Purification is one of the main oils. It works SO well! Thanks Christina – I will let you know when I have updated it. Thank you for this great post, I haven’t smell oil of recent because there are many oils out there but I think my favorite oil on this list will be on the Non-manly lis I mean the No 4 on your list which is the highest potential, it consist alot of things ranging from cedarwoood to lime to geranium,lavender e.t.c I hope you will come up with the price list of these oils someday. Hi Clement, you can see the price list for these oils here. 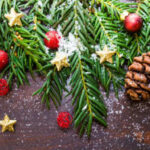 Thanks for this informative article and also sharing a great insight on different manly essential oils but amongst them all I do think i love the northern Lights Black Spruce never heard about it nor seen it, but if I was to try a product I will go for one with multi purpose and who knowmaybe I’ll like the aroma like you do too. Hi Suen, it is a must have! Hi Dwilli, haha, yeah that is a common thread. Let me know how you go with your attempts to convert him. The manly essential oils you mention that are manly enough all have names that I can live with. Anything with black spruce, mountains, Egyptian gold, etc, has to be what a true man would like. The other oils that are not manly I have to say, without testing them myself, are still a definite no-go for me. I need something that will invigorate my testosterone levels, something that will make my beard light up, and oil that will increase my levels of true manliness. These non-acceptable oils will likely make me sick to my stomach. I do appreciate you warning us all about these. My wife has not turned over the buying of essential oils to me, but I am now concerned that in the interest of my manliness, I need to get involved. I just ordered one of those diffuser things, and the essential oils are coming to our log cabin soon. I have tried to convince her that a log fire and smoke is all we need, but she is not convinced. I will confront this unacceptable circumstance head-on. Tonight when I return from skinning the bear I shot, I will sit her down and ask her what she is planning on ordering for essential oils. If any of the scents have joy, lady, or purification in its label, we will have to discuss further. Thanks for the good review. I have passed on this review on to my wife for her action, let’s see what we end up with. I will keep you posted! Just in case, do you have an extra bedroom with a gun rack? Thanks Dave. You will not be disappointed by the Northern Lights Black Spruce that is for sure. Let me know how you go or if there is anything you would like to know. I absolutely love your article, my ‘man’ loves the other sort of ‘oils’ the kind that leaves marks on clothes and cannot be washed off – car grease! I have bought him a few essential oils in the past – because I have been trying to get us to go natural to save the world…but the smells put him off…I can almost smell each essential oil you have describe beautifully with words such as: “It reminds me of a forest that has had a fire in it some time ago”…and I think your oils could be a winner, not only for the smells, or for their uses, but the fact that you are a man lol. 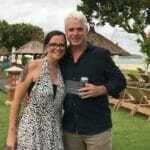 I am bookmarking your site, co I can show him – that you are a cool guy who uses essential oils. Hi Ilaisaane, yes, I think we all like a bit of the old car grease smell as well. Let me know how you go with introducing him to essential oils. Hello Paul! 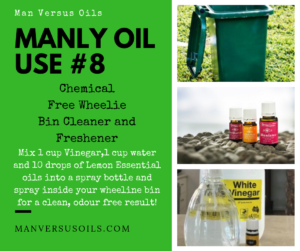 This is interesting and the way you came about the manly essential oil (smelling the oils!) is quite hilarious. You guyz must have certainly enjoyed yourselves while discussing manly and unmanly essential oils. Manly essential oil is a no no for me, so thanks for adding the non-manlliest oils. From the non-manliest oils you listed, I think I will have to agree with your wife on Sensation. . I love the smell as you described above all it serves as enhancer for calming mood. Thanks for your review on manly and non-manly essential oils. What a beautiful and informative post you have here. I prefer the Highers Potential oil on my husband when I apply a massage on him. Maybe is because is so much aroma mix on the container, that makes me think that I am an extension of him; he said that makes him think on me longer. The fact is, he works so hard during the day at the office, and when he got home, he is so tense and soon I apply the oil on his neck and back, I can fill the transformation and muscle relaxing. I love the shaving cream tip as well, and I will tell my husband about so he can try. Thank you very much for such a good article, for sure increase my side of education. Thank you for reviewing these many essential oils. I thought about your website when I was planning to give my friend a gift. I think aromatherapy oils will be a good choice. I’m still deciding between Shutran and Sacred Mountain. Both seems good but have different usage. Oh there is one thing that I want to ask: how can you define a smell as manly (masculine?) and girly? Is it wrong if a man use non-manly oils? I know some straight men who use floral scent perfume because it smells good on them. Hey Alblue – My process for defining the oil as manly or not is simple – if is smells florally it is not considered manly. This just makes it easier for me to choose the oils I write about. However, I do use a lot of the florally ones and actually like the aroma of a few of them. I have a male friend of mine who is the meanest toughest looking tradesman you will see – he is also straight. He uses lavender on his feet and in his diffuser every night to help him sleep. He swears by it and loves the smell. I categorise them as a manly and non manly by the smell as a bit of fun. It is certainly not designed to exclude any from either gender. I find some of the claims that these essential oils are mentioning to be pretty bold especially to say that it increases testosterone levels in men. Although I am a believer of the fact that it may assist with trauma. Are these oils mainly for skin purposes or can they be consumed? I have heard of people using essential oils in food. HI jessie, I admit I do find the testosterone level statement a little out there as well. I did also say in the post that there is little scientific evidence of this (as with most essential oils) but I have read of studies underway – most proven on mice but inconclusive in humans. I will definitely update the post once any results are brought to light. As for consumption, my jury is definitely out on that one and it is certianly a devisive subjeect. Some pages, including the manufacturer pages of most oils freely promote recipes containing essential oils. Other are just as strongly opposed. The U.S. FDA has declared them safe in general to consume but I am not sure. I do not consume them and haven’t included consumption in any of my use lists. I am currently doing a lot of research on the subject so watch this space.